I am part of the Make It Fun Team® with FloraCraft® and I am thrilled that they helped make this post possible today. I can’t believe Christmas is right around the corner! 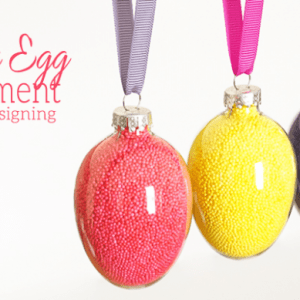 My house is mostly decorated but I decided to make a really cute and fun last minute Christmas decoration and wall art using a sheet of FloraCraft® Make It: Fun® Styrofoam, a few pins and some fun colored jute and paper rope! 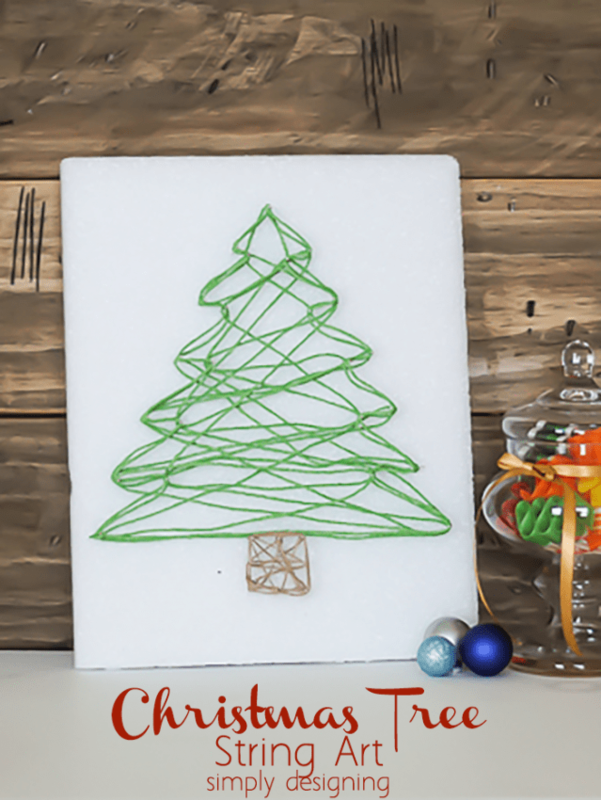 It only takes a few minutes and a few supplies to create this really fun Christmas Tree String Art! Come see how! 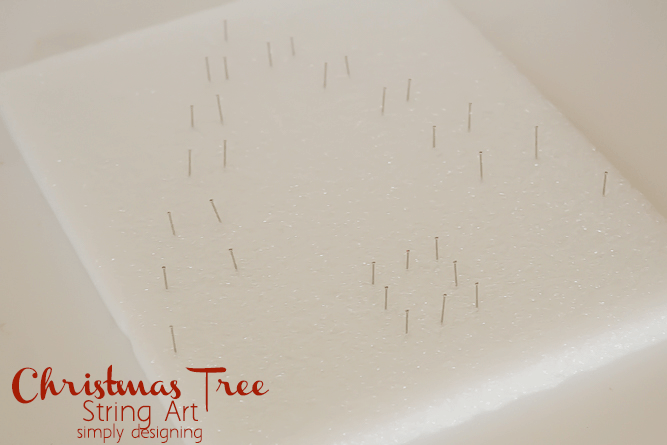 After I cut my Styrofoam down to size, I started adding pins in the shape of a Christmas Tree into the board. You can sketch this out if you want it to be perfect, but I just eye-balled the whole thing and love how it turned out! I created a tree, and then I also created a tree trunk as well. You could of course do this in a different shape if you prefer. After the pins were in place, I began with my green paper rope and tied it into a knot around one of the pins. Then I randomly strung the rope from one pin to another one, zigzagging back and forth across the tree until I like how it looked. Then I went around the tree two times to create a defined outline of the Christmas Tree. After my tree was completed, I did the same thing with the tan jute to create the trunk of the tree. 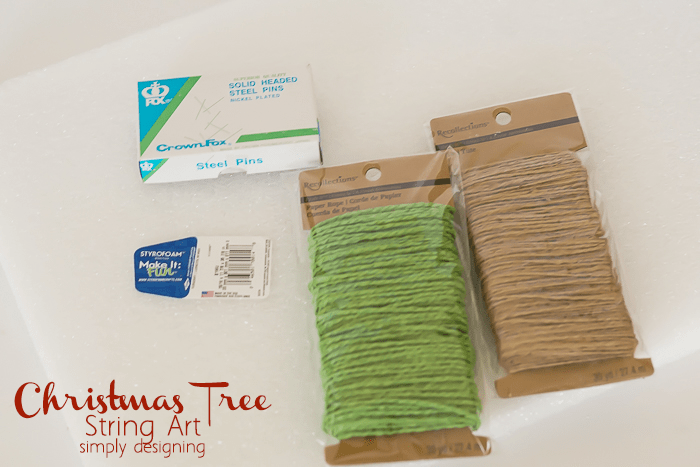 After that my Christmas Tree String Art was complete! This is something that can be completely customized to your preference. You could simply do the outline of the tree or you can zigzag around like I did. I used a paper rope that I found in the scrapbook section of my local craft store, but you could use thread, string or embroidery floss. The options are truly endless! 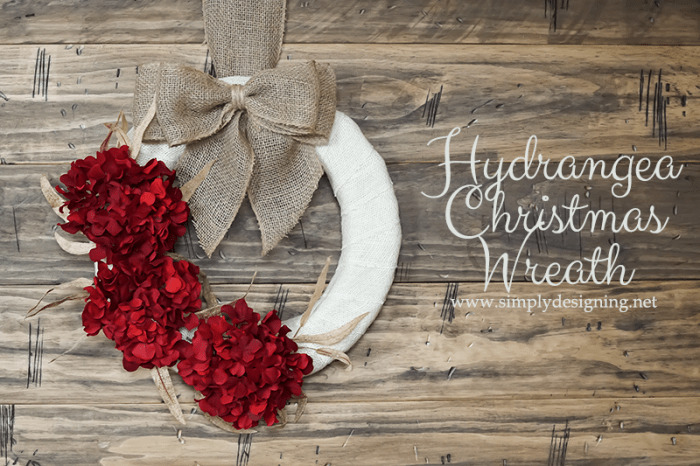 But I love the rustic look of the jute and the paper rope for this project! 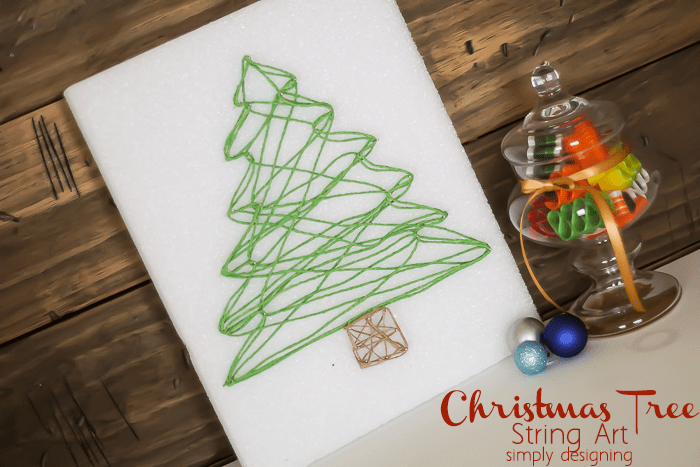 And I really love that this Christmas Tree String Art was simple to make, inexpensive and was something that my kids could help me with too! 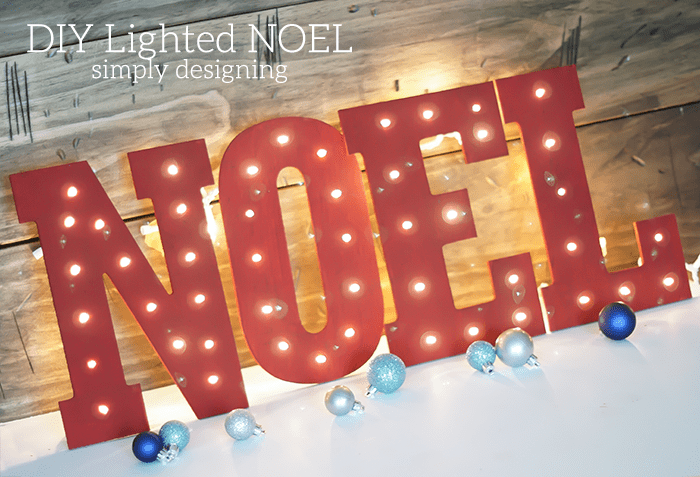 Plus it adds a bit of fun and rustic Christmas decor to my house which I love! And I have the perfect spot to hang this up at in my house for the holiday season! 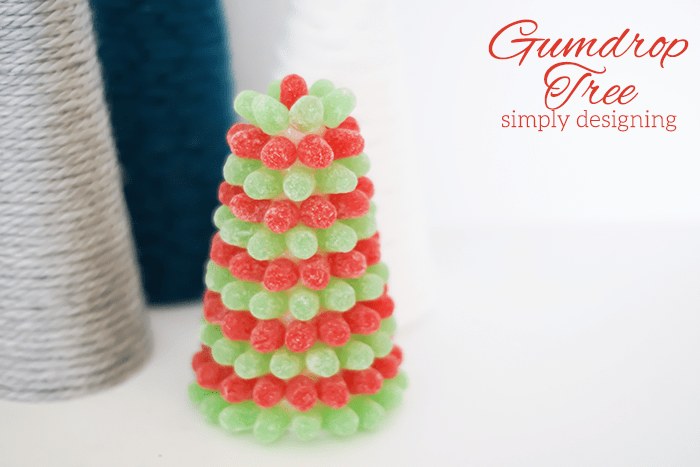 Do you buy or make your holiday decorations? Hooray — there’s no loud pounding smashed fingers when making this string art. 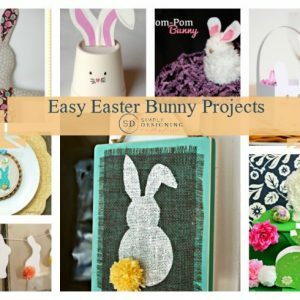 I know a few kids who would adore making these, too. Thank you! Did you remove the pins? I don’t see them. If so how does it hold together? You need to leave the pins in place for the string art to stay together.